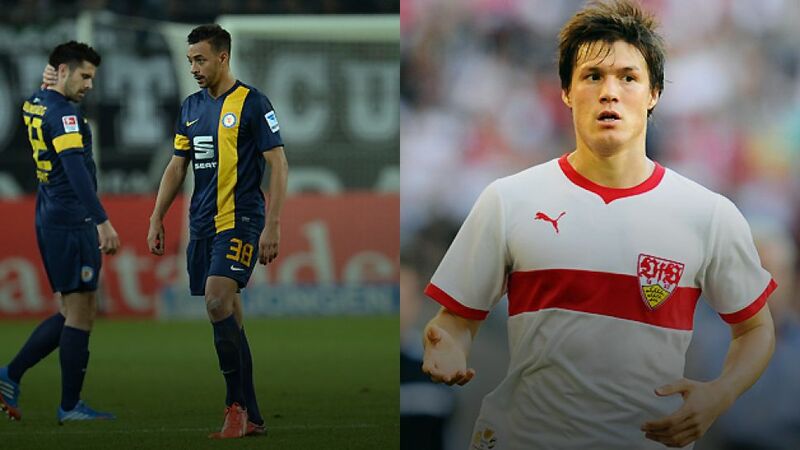 Seventh time lucky for Braunschweig? Braunschweig - Head coach Torsten Lieberknecht is banking on a mixture of "whole-hearted effort and clear-headedness" to help Eintracht Braunschweig to their first win of the season when VfB Stuttgart come calling to round out the Matchday 7 programme on Sunday (kick-off 17:30 CEST). A worrying return of just one point from their first six matches notwithstanding, the head coach does not detect any dampening of the buoyant spirits engendered by Braunschweig's unexpected promotion last season. In fact, he says, "It's not only us, the fans and the whole city look forward to each new game just as much. We're all as excited about it as we ever were." Eintracht's previous home game delivered their only tangible result of the campaign so far, a 1-1 draw with fellow strugglers Nürnberg. . There was nothing to be had for the Lower Saxony outfit last time out, though, as they fell to a 4-1 defeat in Mönchengladbach. Lieberknecht is nonetheless unlikely to make many changes on the personnel front, where his major concern is as to whether skipper Dennis Kruppke will recover from a viral infection in time to play a role. The visitors are on the rebound from a disappointing DFB Cup defeat at south-western rivals Freiburg in midweek. Prior to that, their mini-winning streak under new head coach Thomas Schneider had come to a halt as they were held at home by Eintracht Frankfurt, with (otherwise) on-form frontman Vedad Ibisevic missing a last-minute penalty. And while their hosts this time around would regard it as a mammoth achievement just to stay afloat in the top flight, VfB have their sights set considerably higher - in which context, getting back to winning ways on Sunday is imperative. "Braunschweig are a good, solid team. They're still riding a wave of euphoria and they've got a great set of fans behind them," Schneider summarised at the pre-match press conference, simultaneously emphasising that in the wake of the cup exit, the team are under an even greater obligation "to have a good league campaign." Against Eintracht, they will likely have to take the next step towards that target without key midfielder Moritz Leitner, who is still labouring with a knee problem. Regular custodian Sven Ulreich is meanwhile a definite non-starter due to a hand injury, with Thorsten Kirschbaum set for a first Bundesliga start in his stead. "That's not something that bothers me, Thorsten did a very good job in the cup," Schneider said of the summer signing from Cottbus.